Few countries in the world celebrate a festival with as much fervor across the country as Holi is in India. And to make things special, Belagavi is one city which celebrates it not once but twice, in a matter of a week. 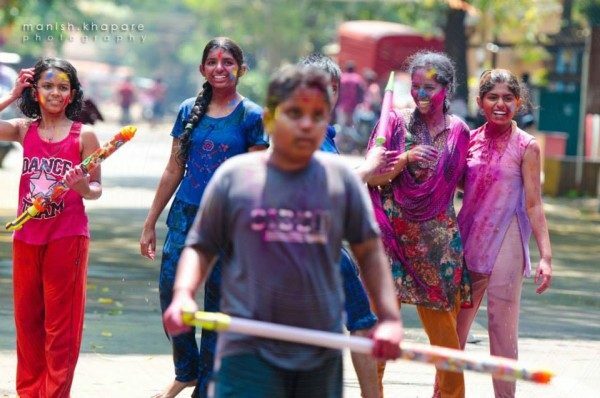 Belagavi’s Holi is special mainly because of its geographic demarcation. While ‘Belagavi’ celebrates it the day after Holi, the areas coming under the erstwhile Sangli presidency, ie. Shahapur, Vadgaon and Angol celebrate it on the fifth day, ie. The Rang Panchami day. This makes matters curious. On one hand, kids and the youth experience double the joy, the common-folk and the women face problems on both days for they cannot move out. You have known many households where the school going kids and the working men have left home early to cross the ‘border’ and move to the other side on respective days! It all sounds funny now, but we have had exams, even SSLC ones, on days when it was played in Shahapur-Vadgaon-Angol. Belagavi’s Holi fever begins days in advance when Ganpat Galli, Shahapur Khade Bazar and Kirloskar road see road-side shops displaying ‘Pichkaari’ masks, small balloons, colors- dry and water based, weird wigs, drag costumes and other paraphernalia associated with playing with colors. Kids duly purchase new pichkaaris every year. Of late, a lot of awareness has been created about not wasting water and hence many prefer dry colors. Gone are the days when ‘saree colors’ or ‘Khadi color was the norm, especially in Shahapur-Vadgaon where many saree factories were located and this color was easily accessible. Come D-day and you’d wake up with crackles of laughter of kids and loud sounds of bikes zooming on the roads. Every youth turns a macho man behind the anonymity of color smeared on his face. Riding triple seat, throwing balloons on unsuspecting people on the roads and shouting loudly is the staple of the day. Deshmukh road, RPD cross has seen scenes of hundreds of shirts being hung on overhead electricity wires, clothes stripped from bikers as they pass by. However, this trend has somehow died down of late. If men are on the streets, women are not far behind. Knocking doors and pulling friends out, they enjoy in their very own way. The new trend of having public Holi celebrations has helped aggregate people at one place with music to boot. The police also clamp down the festivities after 1.00 p.m. enabling many office-goers to move freely post-lunch. 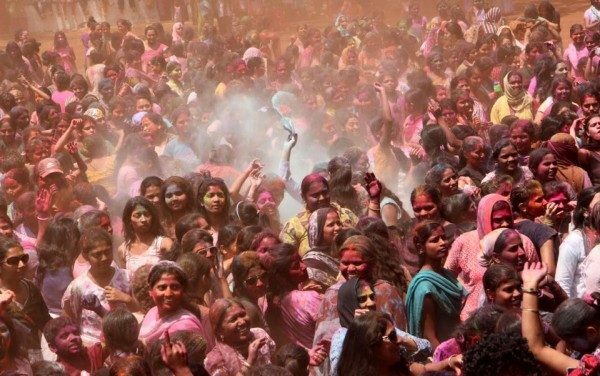 There are places in India where Holi is played for days together. One day or many, Holi brings joy and leaves memories behind. Stains notwithstanding.